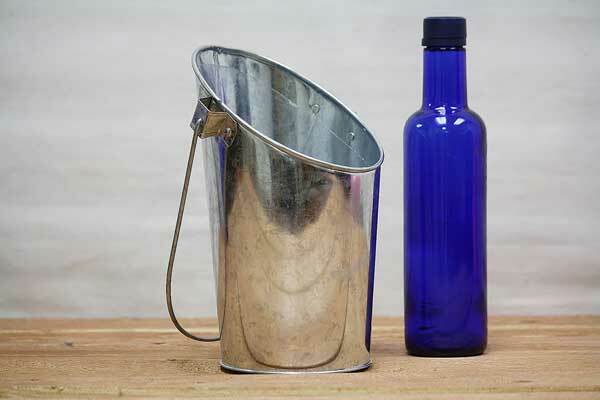 These vintage metal buckets are the perfect addition to your next outdoor gathering. They can be filled with beautiful floral arrangements easily hung from fence posts, walls, or door knobs. They can also be used to store cooking utensils and spatulas in your kitchen, and can even be hung from a floating pot rack. We also offer vintage milk buckets for added variety. I punched a few small holes in the bottom of the bucket that helps with draining. Then I hung it on a few nice places outside my home with flowers. IT LOOKS SO GREAT!